It's been a while since I've reviewed a Jean Claude Constantin puzzle... Well, not that long, actually - It was about a couple of months ago, but considering he is my favorite puzzle designer, it's a long time for me. My most recent acquisition from him came from Sloyd, in Finland, and it's now one of my favorite Constantin's designs. I'm talking about the Schieblehre. The name probably doesn't mean that much to you, and it shouldn't, because it's German for vernier caliper. I believe it's called this, because the three 'C' squares of the puzzle resemble the openings of a caliper... Or it may be because of something else. Either way, the puzzle looks absolutely gorgeous. As a collector, besides the concept of the puzzle, I value its presentation and overall appearance very much. Constantin is a master at making his puzzles very appealing, and this is what I love most about his creations. Don't be fooled, though. His designs are as much beautiful as challenging, and the Schieblehre is no exception. 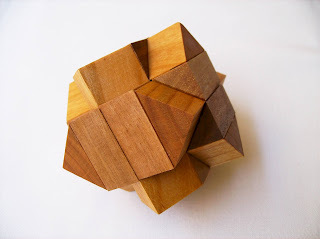 The size of the puzzle is perfect, measuring 12 x 12 x 1.5cm (4.7" x 4.7" x 0.6"), and it's made of three layers of plywood. As a nice finishing touch, a sheet of copper-like reflective paper was added; giving it a more sophisticated look, as well as a protective layer of plexiglass with four squares cut in the middle, to facilitate the sliding movements. 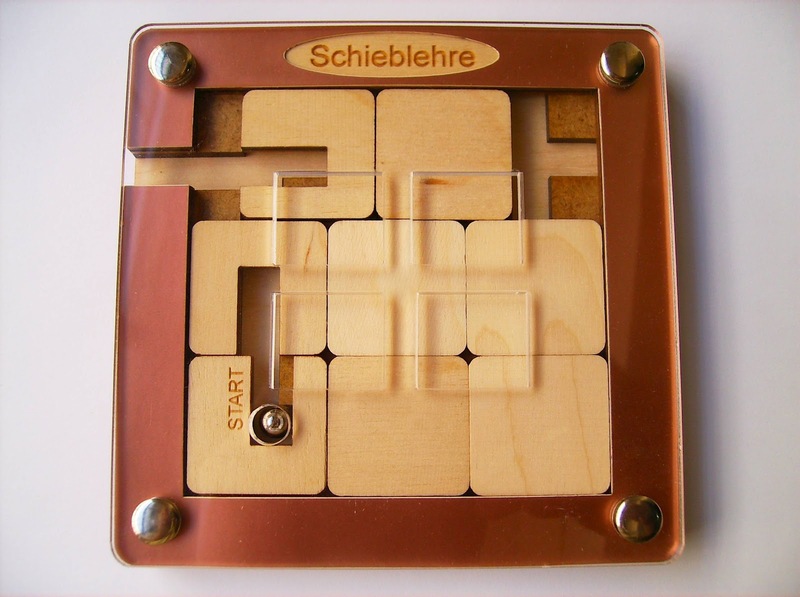 If you haven't noticed by now, the Schieblehre is a sequential movement sliding puzzle with a twist - More complex than it looks. The puzzle is set with a classic 3x3 grid with 8 squares and one opening space to move them around. From the 8 squares, three of them have been cut so they can carry a small steel ball - I refer to them as the 'C' squares. 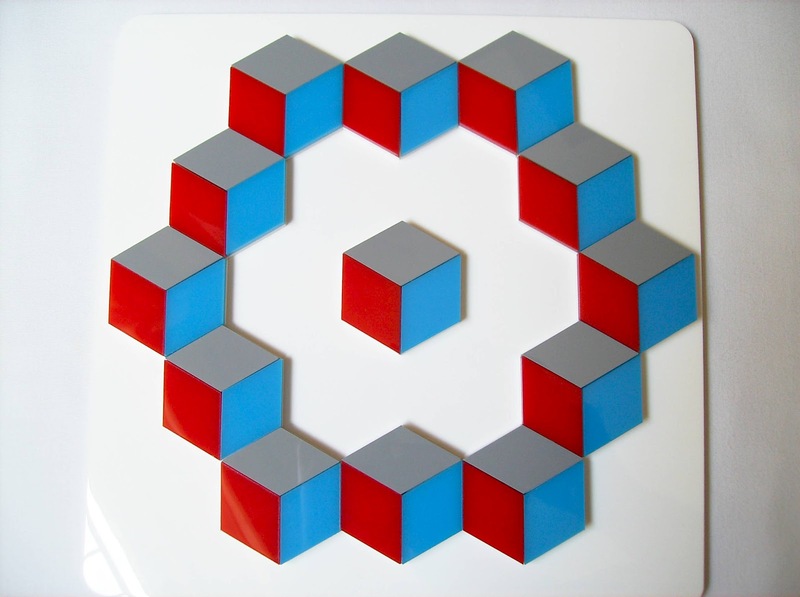 The object is to slide the squares accordingly in order to move the ball from the starting position to the exit. This wouldn't be that much of a challenge had the criss-cross path in the bottom be slightly off-set from the 'C' squares. This causes the ball not to move freely, therefore solving the puzzle requires you to plan ahead your moves and know how the ball can get to the final step. Maneuvering the squares might be a little frustrating at first, because sometimes you want to move just one and along comes another one. 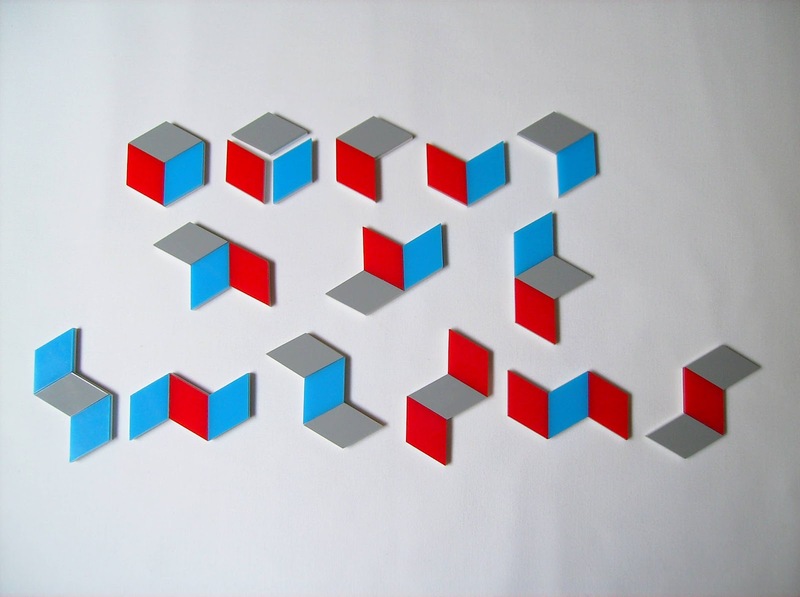 With practice, however, you will learn how to block the movements of the unwanted squares, and this is where the openings in the plexiglass come in handy. The overall difficulty of the puzzle depends on how well you do on sliding puzzles. To my knowledge, there's not an official rating, but if I had to describe it, I'd say it's a level 7 or 8/10 - Not overly complex, but can be quite tricky, especially when you're trying to get the ball in the square aligned with the exit. It took me about 20 minutes of back and forth sliding to finally get the ball out. Resetting the puzzle is much easier, as you can slide the "Start" square back to its place without the ball inside, thus no constraints or blocked movements. 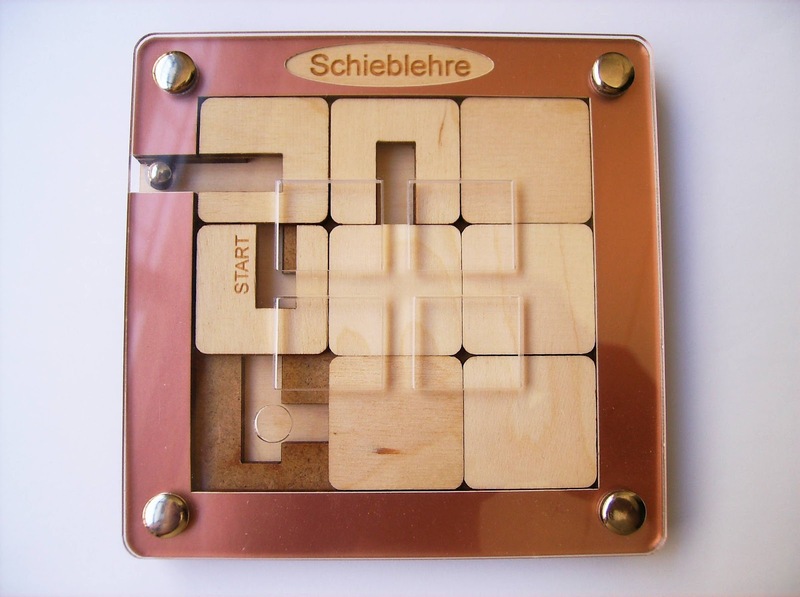 The Schieblehre is not your average sliding puzzle, but if you're a sucker for this type of puzzles, I guarantee you won't be disappointed. Give it a try. It's a must-have in any collection. 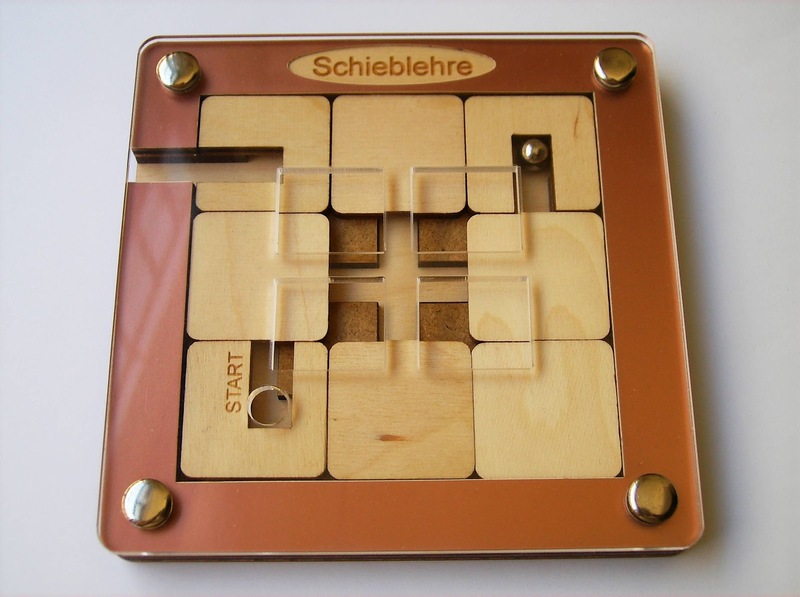 Availability: As mentioned above, the Schieblehre puzzle is available at Sloyd's for €22. To see other designs made by Constantin, click here. Did you ever felt puzzled over those giant plugboards found at the server rooms? How can they know where each cable goes? - The puzzle I'm reviewing today, the Plugboard, is not so complex, but it can still be a little tricky to find your way around all these strings. The plugboard-inspired design is very original and the concept is rather unique. 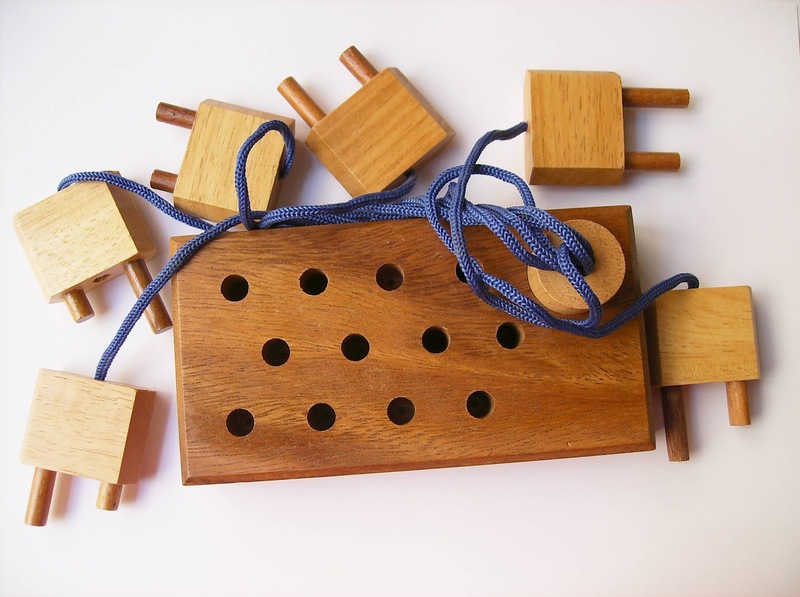 There are six plugs attached by strings that need to be connected to the board so that each one fits perfectly without gaps. The solution is unique and each plug has only one possible spot. 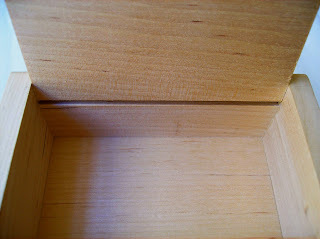 The Plugboard measures 14 x 7.5cm (5.5" x 3") and is manufactured in hardwoods. There's a slight noticeable contrast between the darker wood tone of the board and the lighter tone of the plugs, which gives a more appealing overall look. The strings are only there as part of the design and to avoid any loose pieces. Note that the colors of the strings may vary. The picture in the Brilliant Puzzles' website shows red strings and mine came with blue strings - Not that I'm complaining, because I actually prefer blue over any color. Being a level 3/5 puzzle, the Plugboard is not extremely challenging, but for a casual puzzler it can a tough nut to crack. The tricky part is that each of the six plugs is unique with pins of different lengths. And that's not all: the holes in the plugboard, all have different depths as well, which explains why there's only one possible configuration to have all plugs in the board. The Plugboard is a hard puzzle to classify. 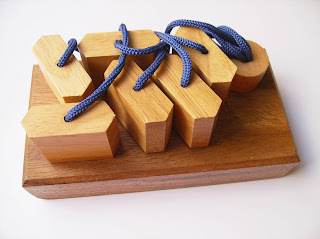 It's not a string puzzle just because it uses strings, as its main use is purely for visual purposes. Can it be considered a packing puzzle? - You do need to place the plugs in a specific configuration within a given limited space, so I guess it has to be... What do you think? Availability: You can find the Plugboard at Brilliant Puzzles for just $11 USD. 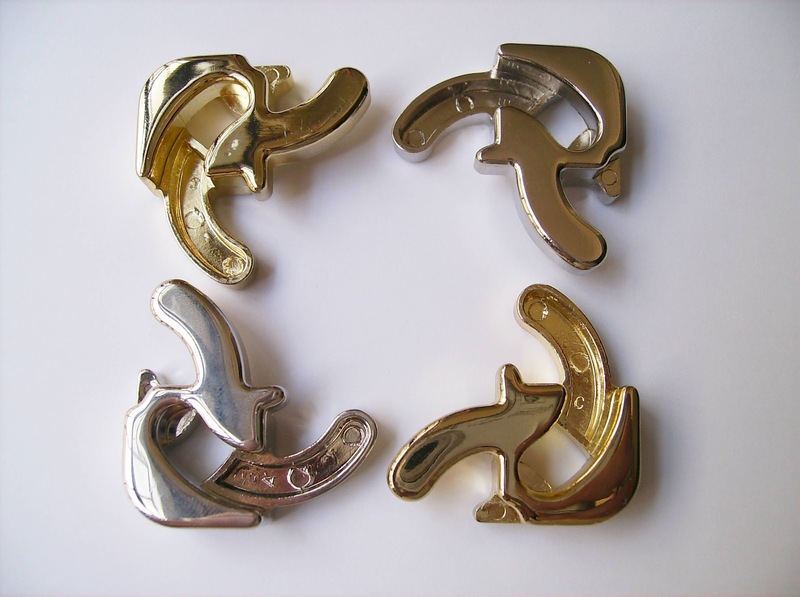 Since Hanayama started to produce the Cast series, back in 1983, they've revived several classic designs from the turn of the 20th century, so that a new generation of puzzle enthusiasts could enjoy them as well. 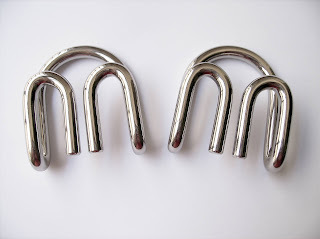 The Cast Devil, also known as the Devil's Claws since 1905, is another great design brought back by Nob Yoshigahara, in 1994, with Hanayama's top-notch quality. The key word for the Devil is "Claws". From the official picture, the puzzle looks smaller than it actually is, so I was pleasantly surprised when I first saw it. 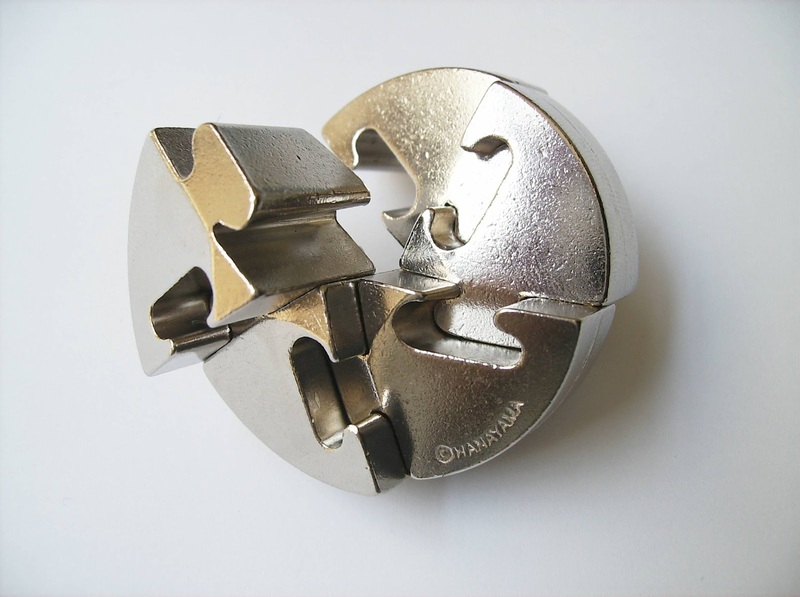 Made with an unusually thick metal (about 5mm or .2"), the overall feel of the puzzle couldn't be better. The two parts comprising the puzzle, or should I say "claws", are completely identical. In order to be able to separate them, you should know exactly where the exit point will be. Even before you have the puzzle in your hands, just by looking at its configuration in the pictures, you'll probably figure out how it's solved - Well, you'll know the exit point to be more precise, but the tricky part is to get there, and here lies the beauty of the puzzle's concept. The Devil is rated by Hanayama as a level 4/6 and by PuzzleMaster as a level 8/10. Like most of the Cast puzzles, the level of difficulty is somewhat subjective and could be a topic of discussion. I reckon it's only a level 4 if you're not experienced with this type of puzzles, otherwise it's a level 2 or 3 at best. Solving time was approximately 5 minutes the first time and a couple of minutes the second. With multiple attempts, I have now learned the exact movement and can solve it in a few seconds. Until I've learned the solving method, and whenever I'd put it back, the little Devil would be entangled almost immediately. This was a little frustrating, to say the least. 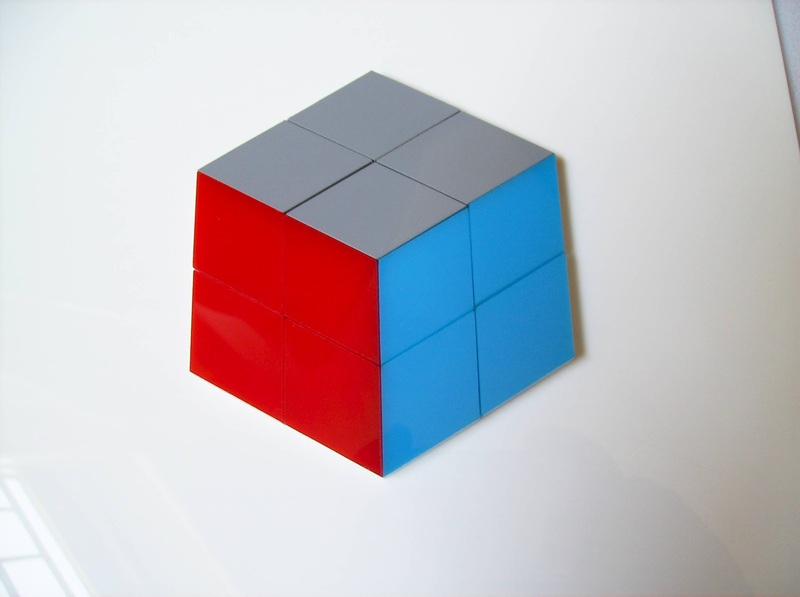 On the positive side, after each successful solve, you could have another go at it and still have a tough challenge. But, since I believe a puzzle is not truly solved until you can disassemble it and assemble it back without a hitch - Thank you for that Kevin Sadler! - I insisted until I completely understood its method. Solution: Click here to download a solution guide, if you get stuck. The Cast Devil is a wonderful puzzle in the true sense of the word. The puzzle draws you in as if it were trivial to solve it, but until you've learned its secret, you're stuck by the Devil's Claws. Highly recommended to any puzzle fan and a fantastic gift to frustrate your friends. Availability: The Cast Devil came from the Canadian puzzle store PuzzleMaster and it's available for about $13 CAD. 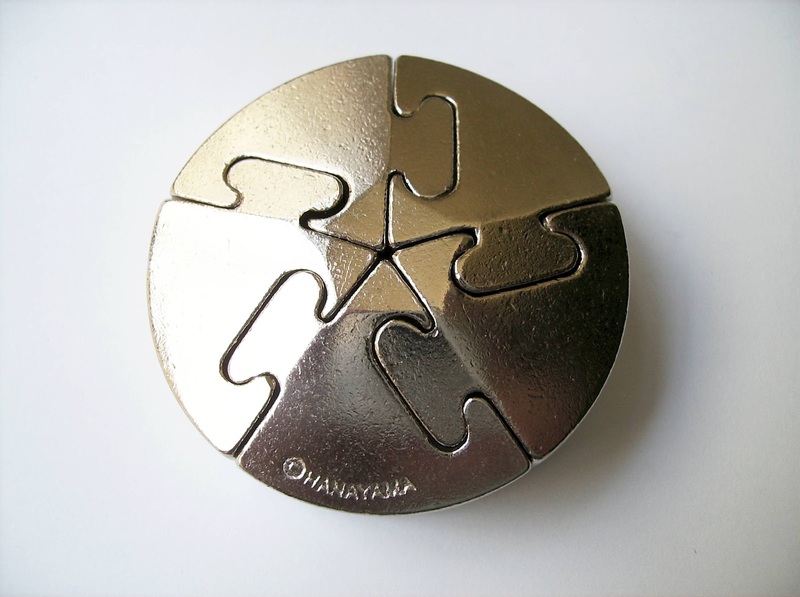 You can also take a look at all the other Hanayama Cast Puzzles here. 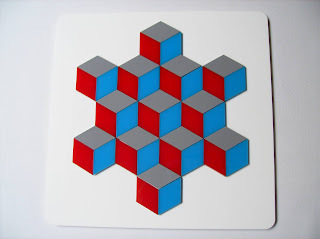 A few weeks ago I reviewed the Tricky Gift Box, produced by Tomas Lindén, and what I liked about it was its simple idea with a tricky mechanism. The new trick box, that I'll write about today, has a similar small detail, also very clever, and "deceiving" is the best word to describe it. Produced by Tomas Lindén as well, the Treasure Chest is the perfect example of what a trick box should be. Measuring 12 x 7.5 x 4.5cm (4.7" x 3" x 1.8"), it's large enough to store a nice treat for someone and have them open it. The goal, of course, is for you to try and discover the secret that keeps the Treasure Chest locked. As I hinted in the first paragraph, there's a similarity in both the Treasure Chest and the Tricky Gift Box. Since I solved the Treasure Chest first, I had no idea what to expect of the internal mechanism, so it took me a bit more time to discover the trick, about 15 minutes. My reaction when I finally opened it was utter surprise. As I said, also, the puzzle is very misleading, or deceiving, leaving you to think something when actually, might be the complete opposite - That's about as much as I can tell without revealing the actual solution. While it may be a little subjective, depending on your own experience, I still think that the Tricky Gift Box is a tad harder than the Treasure Chest. Maybe because the required movement is a little less intuitive, although it's perfectly possible to solve it right away if you're really perceptive. Another great puzzle for a bargain. You really can't go wrong with Tomas' puzzles, with plenty of value for your money. This proves that great puzzles don't need to cost a fortune in order to be appreciated. Both design and concept make the Treasure Chest a must-have for trick box fans. Availability: You can get a copy of the Treasure Chest at Sloyd.fi for €14. In my latest order from Brilliant Puzzles, I included a puzzle that I already knew for some time, but never got around to get a copy. This is one of those puzzles that appear to be one thing, but when you take a closer look and inspect its inner workings, you're in for a surprise. 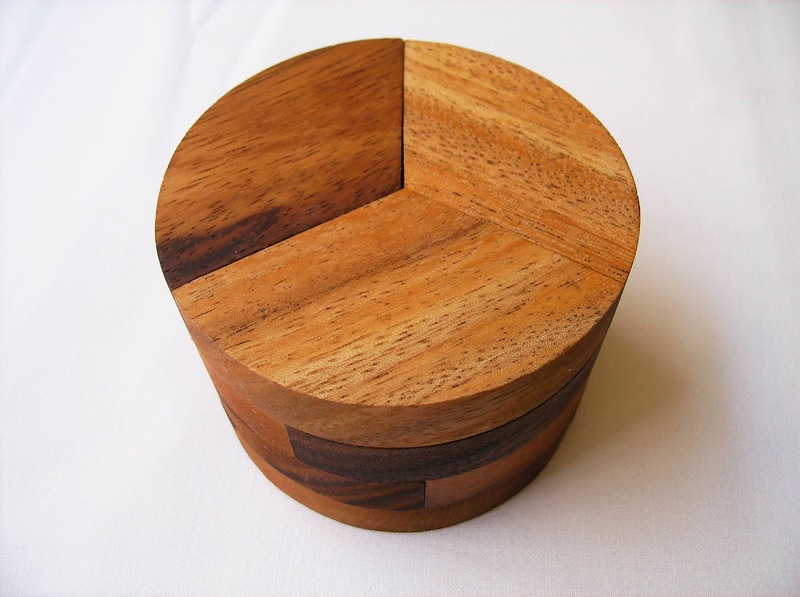 The Radius, a seemingly ordinary puzzle, is nicely crafted from hardwood and measures about 8 x 6cm (3.2" x 2.4"). It's comprised by four circular layers into a cylindrical shape, with each circle appearing to be divided in three segments. However, after you separate the first piece, you'll notice that the segments are actually glued to other layers - This is where the puzzling factor lies. 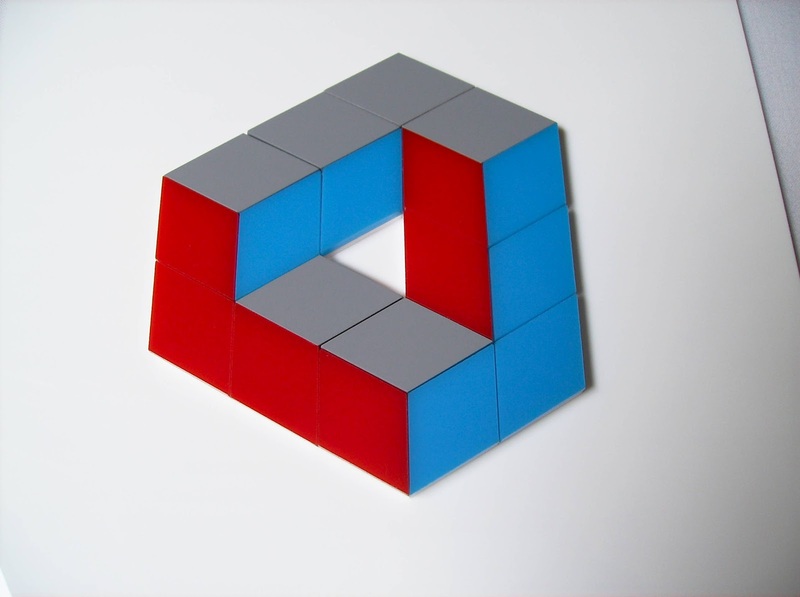 The puzzle has four pieces that are interlinked so that the cylindrical shape is held tightly together. 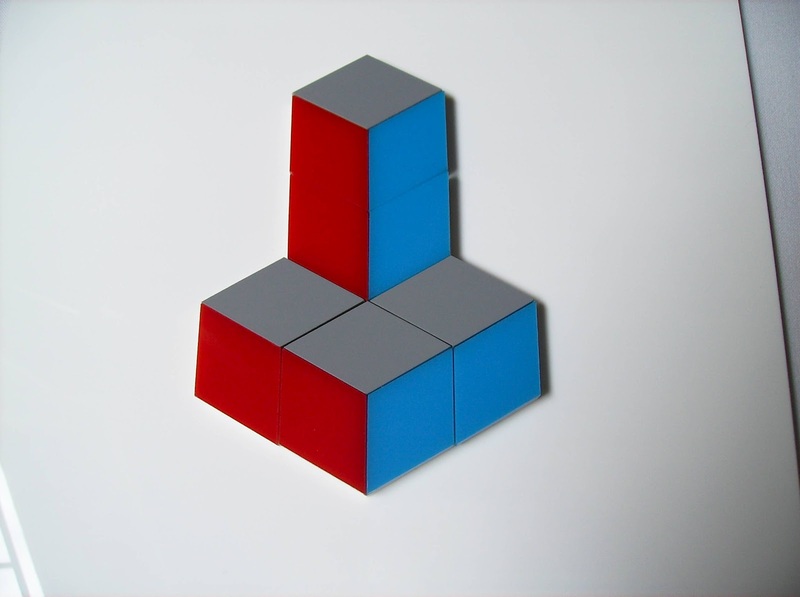 The pieces are not identical, but they're very similar in pairs (See photo below). Each piece has three segments glued together: two pieces cover two layers and the other two cover three layers. Not very much of a challenge there, but the Radius has a nice and original design. It's a good puzzle if you're just starting on your puzzling adventure, but other than that, it's just a nice collectible. My take on it, is that with a few more layers, it would probably raise the difficulty level exponentially or at least, put up a fight. 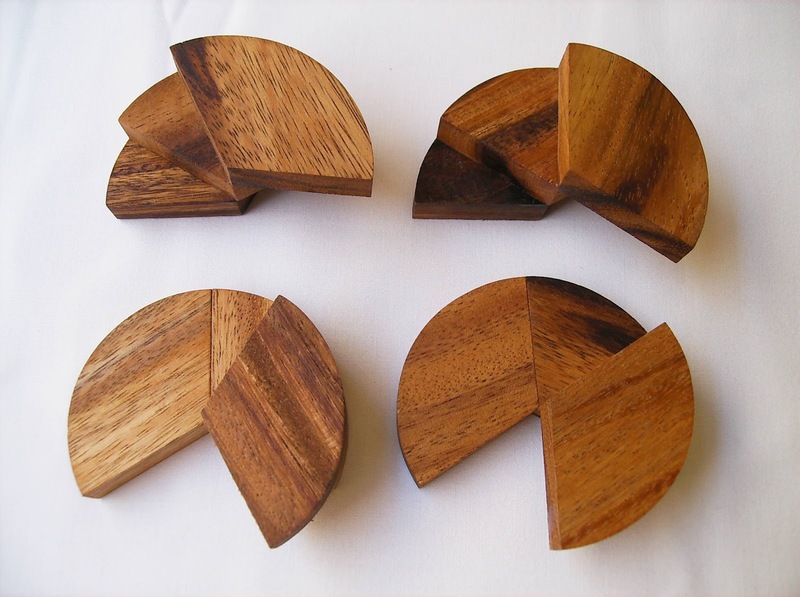 Availability: You can find the Radius puzzle at Brilliant Puzzles for about $11 USD. 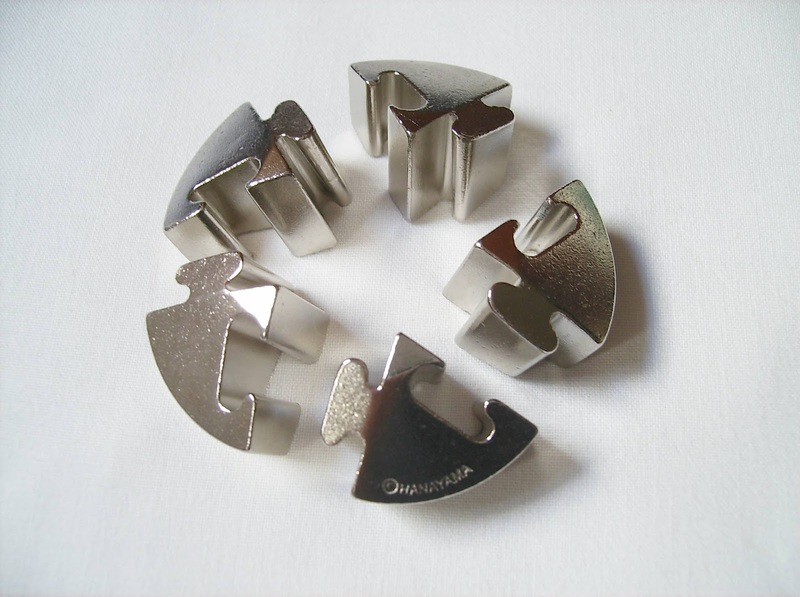 Beginning in March 1999, Hanayama launched a series of six Cast Puzzles dedicated to the theme of oceanographic subjects called Marine Series. The six puzzles were the Tie, the Fin, the Crab, the Penta, the Coral and the Tails. All designed by the Japanese Akio Yamamoto, the puzzles were relaunched in 2008 with different names (Seabream, Shark, Claw, Starfish, Reef and Seahorse), a brand new reflective coating finish and a few design refinements. Reviewed today is the Cast Shark, formerly known as the Fin. The Cast Shark is an impressive and original design with a fossilized shark's denture having a smaller shark trapped between its teeth. 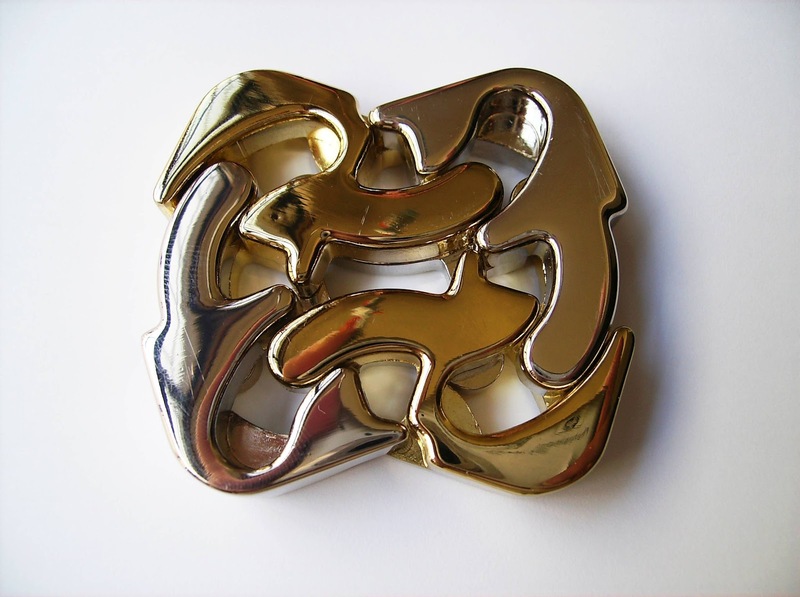 As always, Hanayama pays extra care for the appearance of its puzzles and the two parts are coated with contrasting colors, silver and gold. 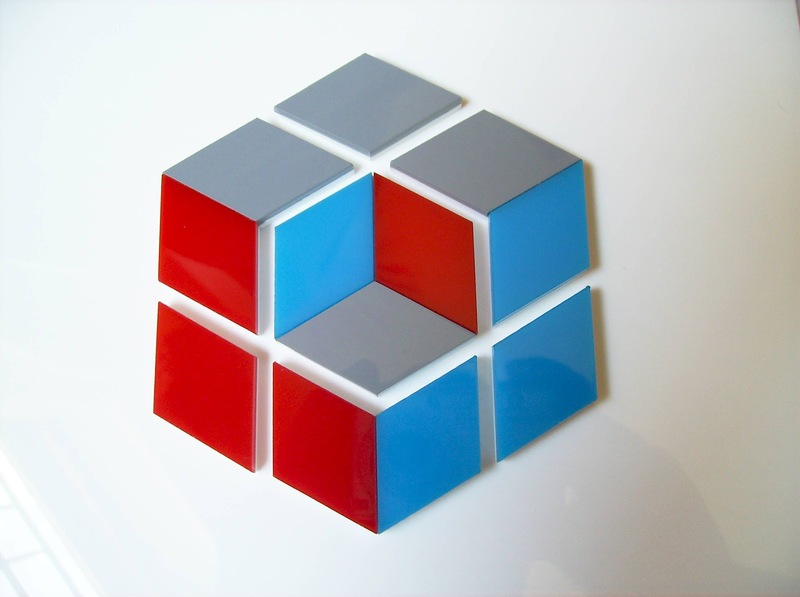 A nice feature in these puzzles is that you can use them as keyrings. If you're a collector, I don't recommend this, because you'll end up with a heavily scratched puzzle. However, you can buy two of them and have one for this sole purpose. From the six puzzles in the Marine Series, the Cast Shark is among the easiest ones with a difficulty level of 1/6. The other one being the Cast Seabream (a.k.a. the Tie). Contrary to my previous reviews, where I disagreed with their difficulty ratings, this one is just about right. Unless you're an absolute beginner with puzzles of this very nature, you shouldn't have any troubles solving it within a couple of minutes. Even if you don't know exactly what you're supposed to do, fiddling with the puzzle is enough to eventually discover its solution, but paying attention to the gaps and indentations can also serve as a clear guide to free the small shark. Getting it to its original position - Not just inside the shark's denture - might be a little trickier, but it's still not challenging enough to keep you busy for more than 5 minutes. Video: Click here to see a video solution of the Cast Shark. Solution: If you're having trouble solving the puzzle, you can download a solution guide at Sloyd's. Although extremely easy to solve, the Cast Shark is a nice collector's item for its attractive appearance and bold design. It can be great to entertain guests at a party or a perfect gift to someone that loves the sea life. For a puzzle collector, I recommend getting all six of them. It's a fantastic sub-collection within the Cast Series. Availability: Sloyd.fi sells the Cast Shark as well as all of the other Cast Puzzles. A hole-in-one won't be enough to solve this puzzle, the Golf Field. In order to get the ball into the hole, you will need several more steps and a lot of concentration. 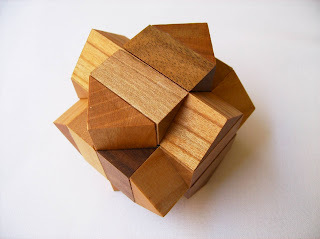 Comprising the puzzle are 11 wooden pieces, excluding the silver ball, occupying an area of 4x5 units (20 in total). 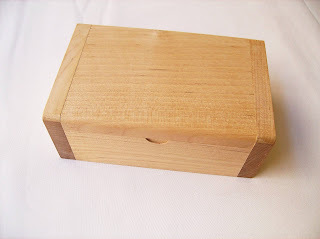 It measures 12 x 10cm (4.7" x 3.9") and it comes in a classic wooden box and lid design. To make room for the pieces to slide there's an empty space with 2 units in length. The objective is to get the large green square, carrying the ball, from one end to the other so that the ball rolls down the hole found in the bottom. The level of difficulty of the puzzle is not that high. It's described as a level 4/5, but I think level 3 would be more fitting, unless this is the first time you'll solve a slide puzzle. 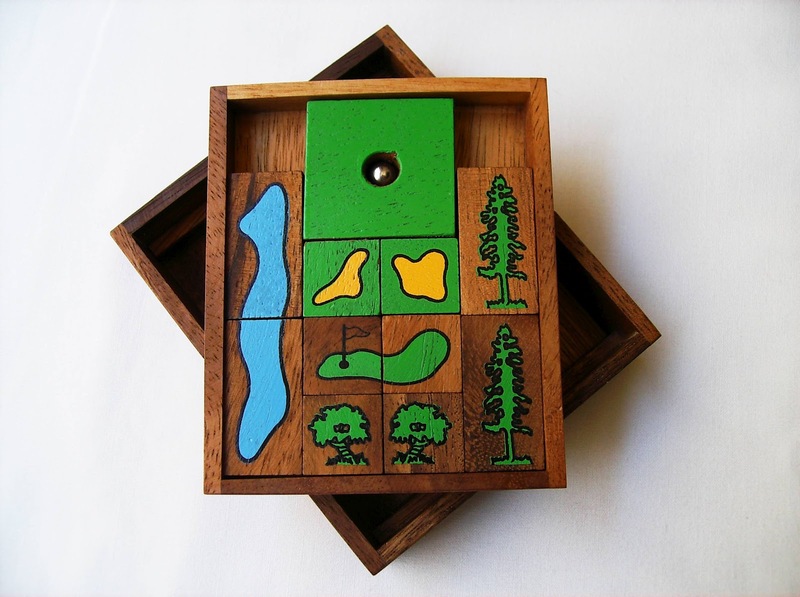 There is a slight difference between the Golf Field and the original, which was probably done by the designers to make it easier for casual players - The two smaller green squares should've been one single piece (two units in length) instead of two. 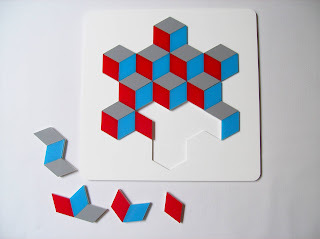 Obviously, this'll make the puzzle a little easier, but you have two options if you want to make it more challenging: you can either glue the two pieces together as they should be, or when you're moving them, do it simultaneously as if they were one piece. I didn't count the total steps required to solve the puzzle, but it was solved within 10 minutes. The sliding movement of the pieces is not that smooth, because their tolerances are a bit tight making them jam against each other, which in turn will make the solving process somewhat slower. Other than that, seeing the silver ball roll down the puzzle is quite a rewarding feeling. Without being a golf aficionado, I already have two related golf puzzles - the Golf Field and the Golf Puzzle, also reviewed a couple of months ago. That's not much, but still... I just liked how these puzzles look, and while they're not original concepts, their new designs are enough to give them another try. 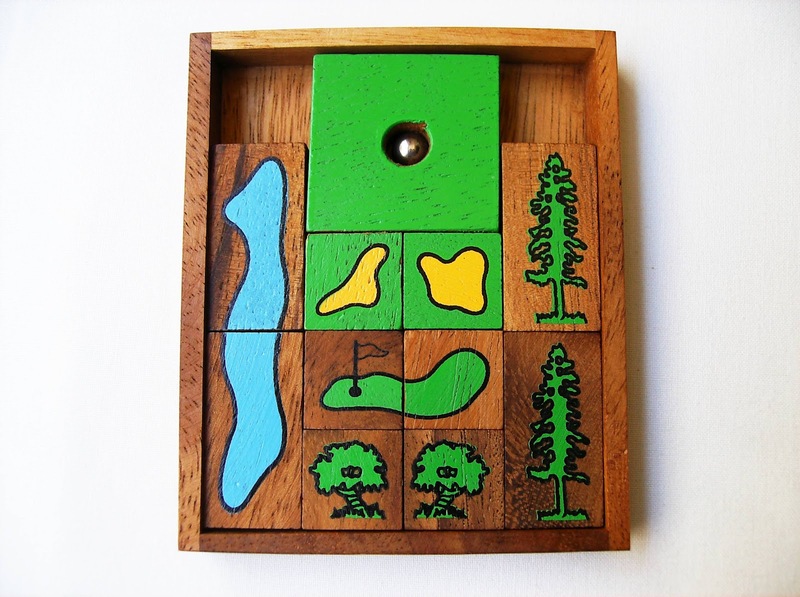 Availability: The Golf Field came from Brilliant Puzzles and it has a very affordable price of $12 USD. 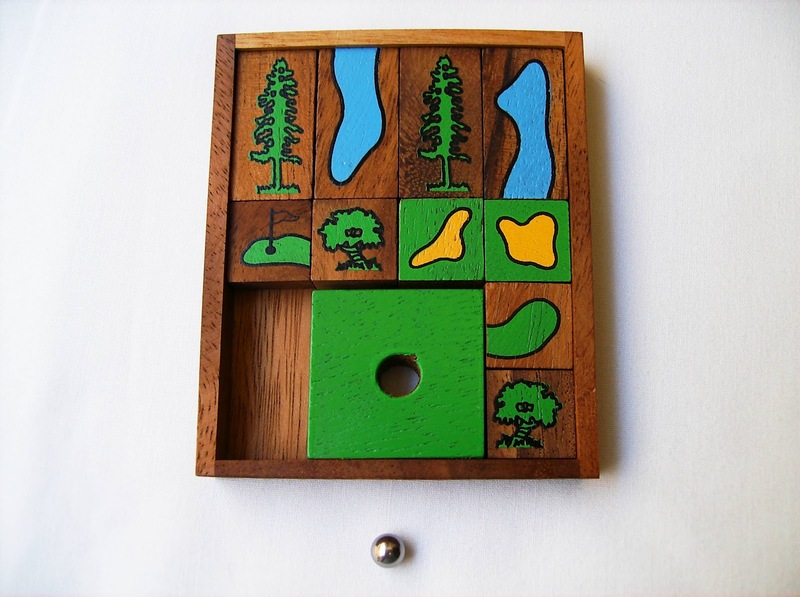 They also have a few other related golf puzzles. Just type "golf" on their main page search bar. 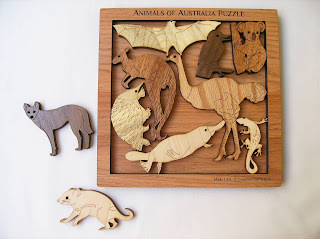 If you're a fan of Puzzle Crafthouse's Picture Frame Puzzles, like me, the Animals of Australia is another great design and challenging puzzle designed by Dave Janelle. 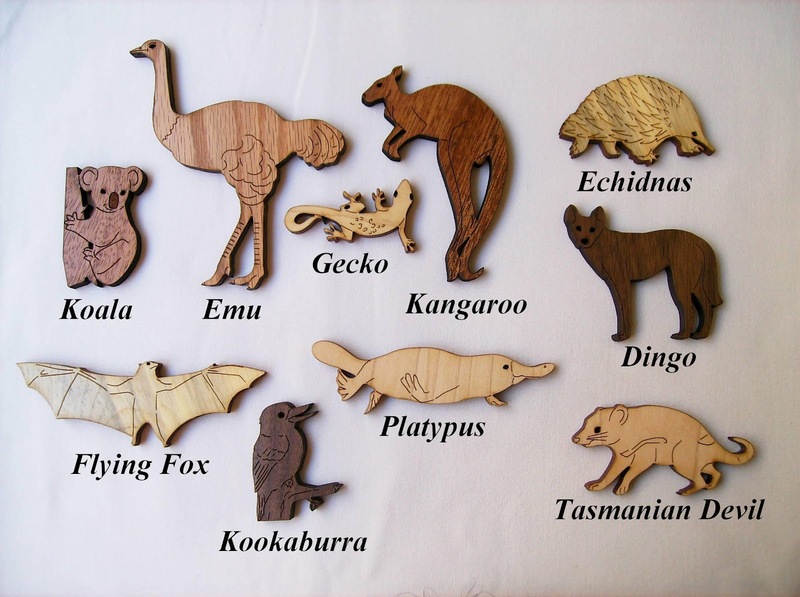 Represented in the puzzle are 10 native animals from Australia, which can all be packed into a 18cm square wooden frame (7"). The pieces are cut from a wide selection of different thick woods and the contours are deep-cut in one of the sides with perfect detail. 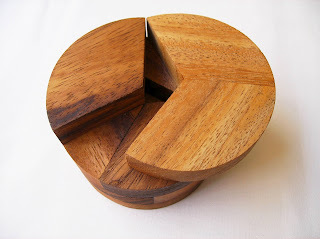 Since several different woods are used in one single puzzle with a unique mix, yours might be a little different from the one pictured. Being the fourth Picture Frame Puzzle that I have reviewed so far, I think this one is a little harder than the Noah's Ark and easier than the Wine Lovers Puzzle or even much easier than the Flower Garden - Hawaii. As a level 3 puzzle, you might expect to solve it within half an hour or so, but it may easily be between 1 and 2 hours. I took almost an hour to get them all inside the frame. As with all puzzles from the Picture Frame category, there's just one possible arrangement to fit all pieces inside the frame... At least, in theory, because they were designed with that characteristic in mind. Note that the pieces are to be used with only one of their sides, so no mirror images possible. Last time, I had found an alternative solution for the Noah's Ark, but it wasn't the designer's intention to have more than one solution. After that review, the puzzle design was revised with new piece sizes and it's now back to one solution. In the event that you find a second solution for any of these puzzles, contact Dave to let him know so that he can fix it. 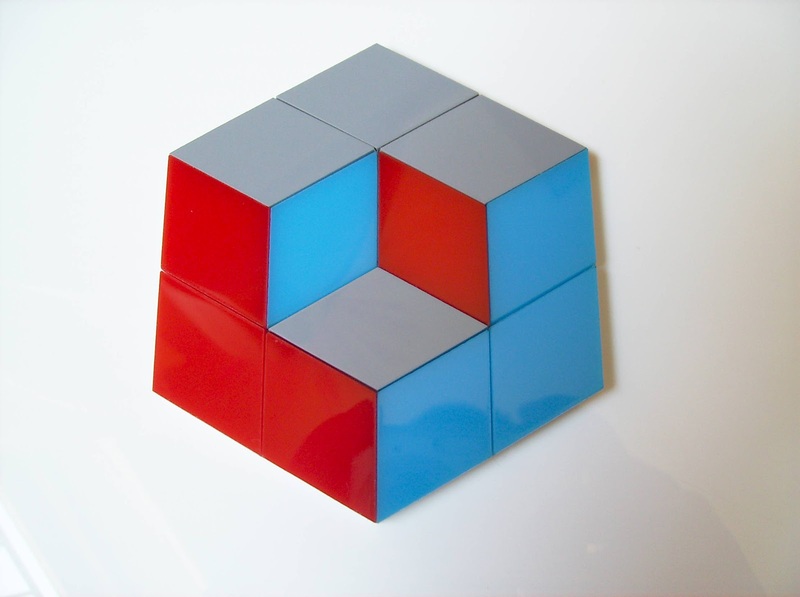 Solution: In case you want to check how the puzzle looks like in its solved state, click here. 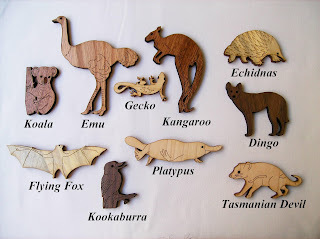 The Animals of Australia is yet another great theme for a Picture Frame Puzzle. Since it's not extremely difficult, it can be bought as a present for a casual puzzler, and it will make for a nice addition to any puzzle collection. Also great for display use. Availability: The Animals of Australia is an exclusive puzzle from Puzzle Crafthouse and it's available for $25 USD. To browse through other puzzles in the Picture Frame category, check out their special page. 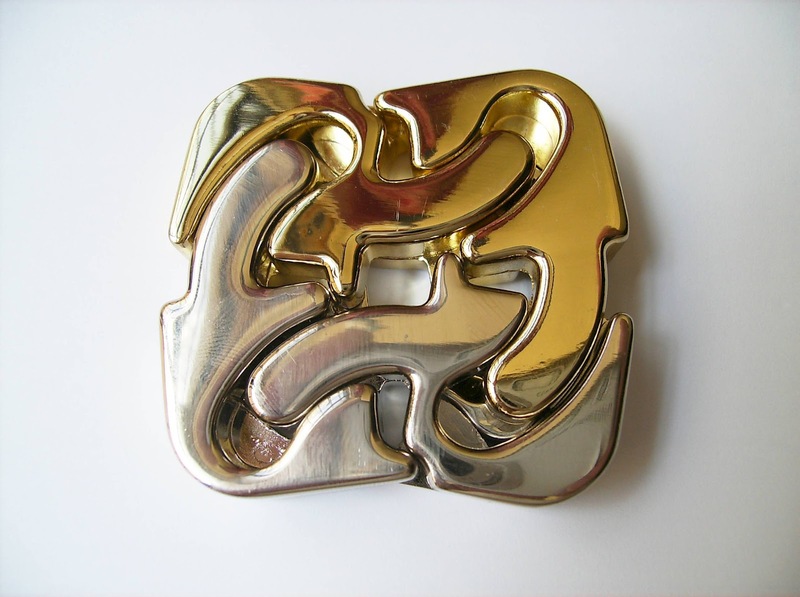 Released over two and a half years ago, in January 2010, Vesa Timonen's Square is among the most stunning puzzles in the Hanayama Cast series, looking more like a work of art than a puzzle. The theme for the Cast Square is "Orientation". The Cast Square is relatively small, only 4.8cm (1.9"), but it's quite a hefty object. 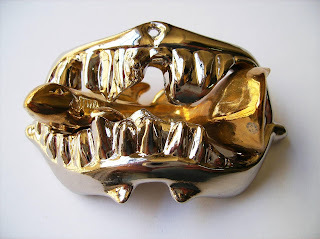 It's beautifully presented in a two-color coating finish in silver and gold, although it scratches pretty easily and your fingertips will be noticeable all over it. After playing with it, clean it up with a fiber cloth to prevent stains in the metal. The Square is rated by Hanayama as a level 6/6 along with six other puzzles. It's the level with less puzzles, actually, which gives you a pretty good idea that for a puzzle to be there, it must be extremely hard. Well, not so much... I think this one wasn't crazy hard to be classified as a level 6. In my opinion, it should've been a 5/6. The first thing you notice when you attempt to separate the Square's pieces is that it's very easy to open it to a certain amount by pulling on opposite diagonally pieces, but then it stops. There's clearly something blocking the parts from fully separate, and that's obviously related to the rattling you should hear from inside. If you ever solved the Cast News, I believe the movement necessary to separate the pieces is very similar to this. If you remember, the Cast News also had an internal mechanism with pieces rattling inside. 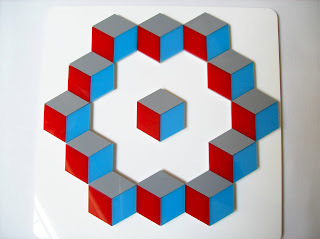 The Square has sort of this same type of pieces, so my first thought after hearing them was to perform the exact same movement, when lo and behold, the pieces went flying off in the direction of the four corners of the table. When I went to analyse the pieces, I could see that my hunch was right; the internal mechanism has similarities with the Cast News. Returning the puzzle to its original position can be either fast or painfully frustrating, depending on your luck. My advice is to pay extra attention to the configuration of the pieces and their correct orientation - Remember the theme word? 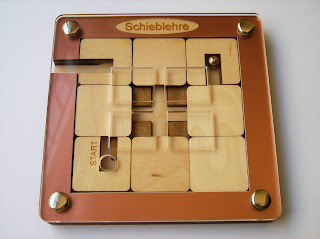 - If you fail to connect the pieces correctly, they won't fully close into the square shape. Even if you remembered that the pieces fit in an alternating pattern (gold-silver-gold-silver), you can still make the mistake of getting them wrong. If you do, not even the "magic" movement will save you, and separating the pieces could be rather difficult. You know you did well when you see the pieces slide back to their original position in an instant. That's when you'll have the puzzle fully solved. Solving the Cast News first, clearly was a big help towards solving the Cast Square, as we all learn something from past experiences with other puzzles. Therefore, equally hard puzzles become a lot easier. Had I not solved the Cast News, I wouldn't have solved the Square so fast, but looking at other level 6 and level 5 puzzles, I still think that it should belong in the level 5 category. Solution: To download a solution, check out the puzzle at Sloyd's. Want a hint that can help you to solve it? - Try using "centrifugal force". 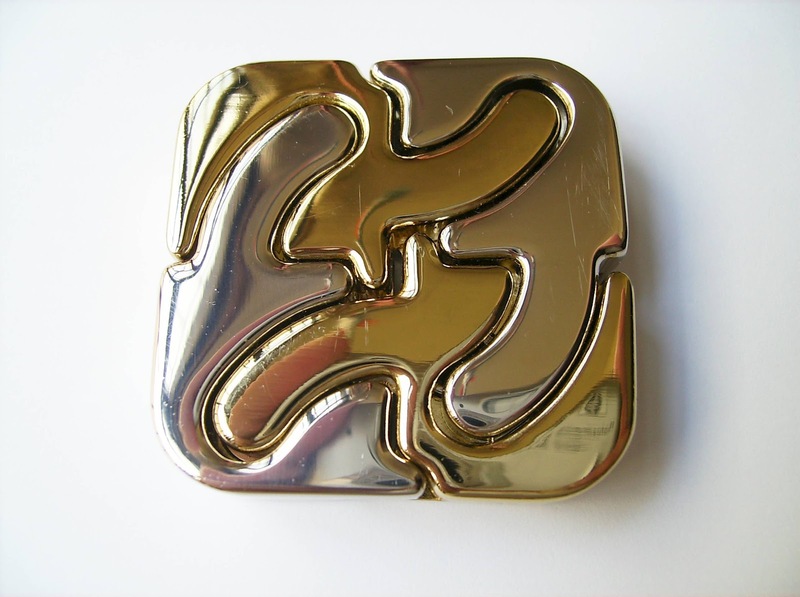 As a decorative object, the Cast Square has a wonderful design very pleasant to look at, ensuring intriguing and astonishment looks from friends or co-workers. As a puzzle, the concept was not new to me, but I still enjoyed it very much. Not for a casual player, but a nice challenge for a skilled puzzle aficionado. Availability: My Cast Square came from the Finish store Sloyd and you can get one for about €15. To browse through all the others in the Cast series, check out their special Hanayama page. 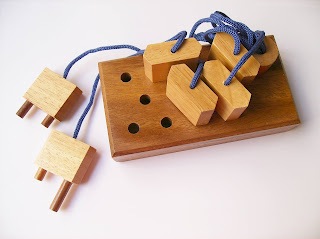 Having already reviewed a few puzzles from Vinco (Václav Obšivač), their common denominator is high quality and design originality. The Kamarad, a six-piece coordinate-motion interlocking puzzle, is no different. The Kamarad has such a brilliant and original design that it'll be very hard to write about it without giving too much away about its solution. It's one of those puzzles that you should experience on your own and find out for yourself how it works. There's one phrase that perfectly describes it: "Looks can be deceiving". With this in mind, I'll try to describe it with no major spoilers. 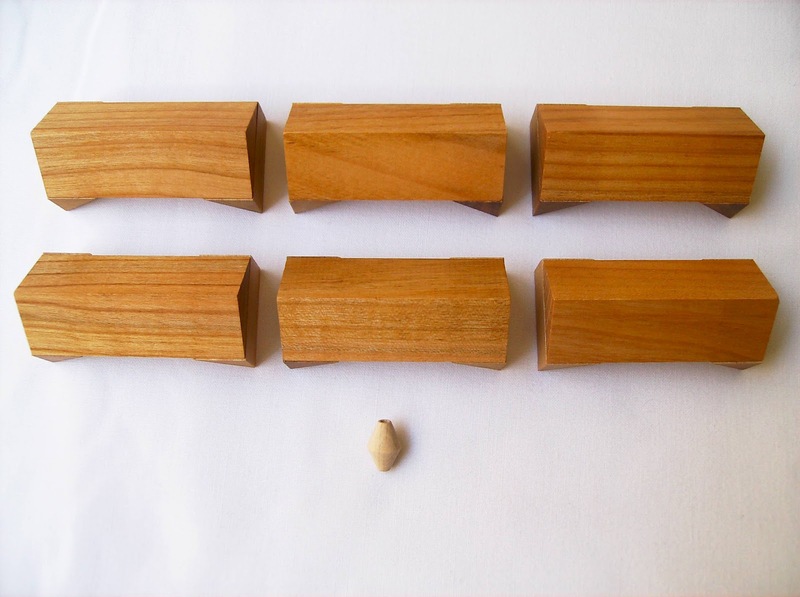 The puzzle is comprised by six identical pieces made from natural wood and the different colors indicate, at least, two types of woods. It measures about 6.3cm in length (2.5") and it's coated with some type of wax that helps disassemble and assembling it. The goal, of course, is to find a way to take it apart and then return it to its original shape. When looking at the puzzle, the first thing that comes to mind is a burr puzzle: One of the pieces should slide off pretty easily - although not every burr is as straightforward and simple as this - leaving the inside mechanism visible. So, the first thing I tried was to push on the various pieces and see if any of them would move. However, there's one thing rattling inside the puzzle, a small bead, that quickly shatters the burr notion. Knowing that inside of a burr there are intersecting pieces, there's little to no room for a bead. With the help of this bead it shouldn't be that hard to imagine how the interior of the puzzle looks like. Now that you have a pretty good idea of the mechanism, you still need to take it apart. I'll leave this part for you to figure out, but I'm sure it won't be much of a challenge. This puzzle is rated as a 3/5 level of difficulty, and given the fact that the bead gives you a nice clue about the interior of the puzzle, I'd say it's about right. Were the puzzle not featuring this bead, and it could very much be classified as a level 4. After successfully taking the puzzle apart, you still have to reassemble it. While it might not be harder than figuring out how to take it apart, it still requires a good level of dexterity and hand coordination. You will find yourself a few times having to get the bead inside again, as in the process of reassembly it'll fall off quite easily. Overall, the Kamarad is a fantastic design and the concept is a pleasant surprise once you discover how it works. As with many of Vinco's puzzles, besides their high quality you can also count with very affordable prices, taking into account the type of puzzle and level of craftsmanship. A must-have for any collector. 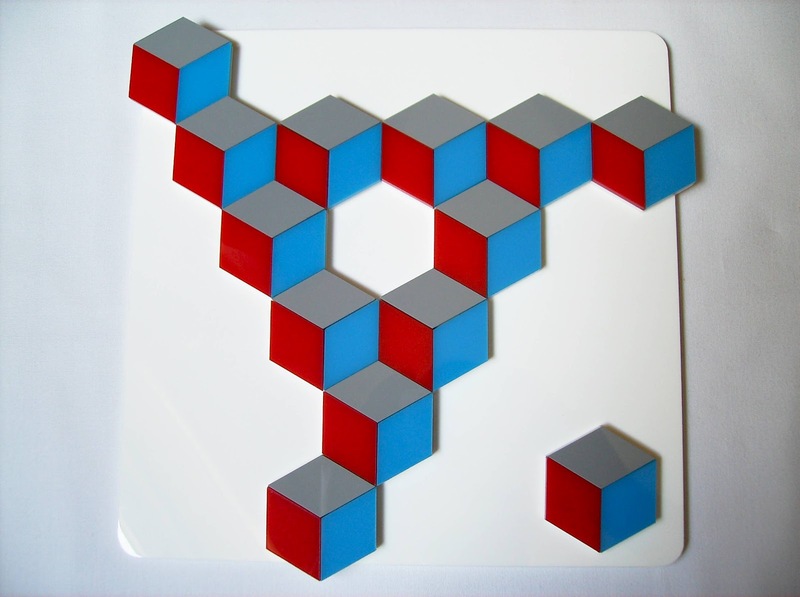 Availability: The Kamarad came from Brilliant Puzzles and it's available for about $20 USD. Today's puzzle is a classic dating back from 1933. 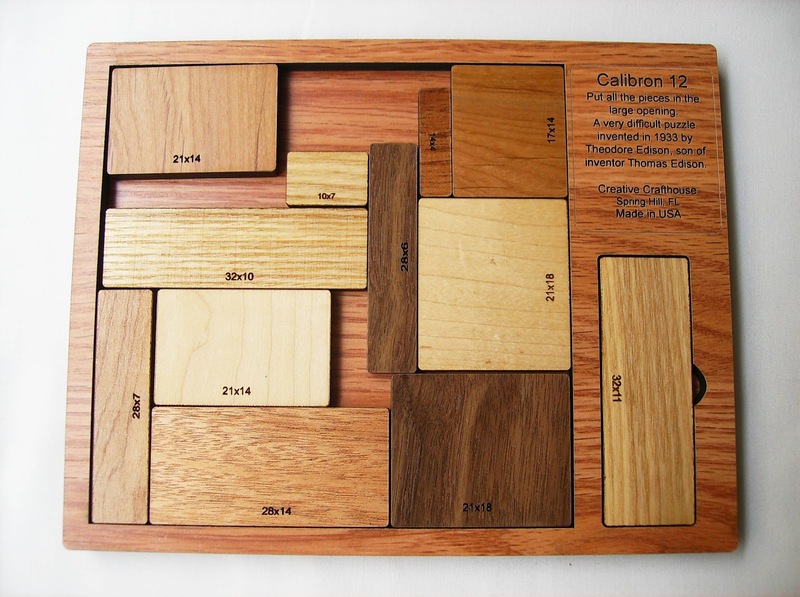 The Calibron 12 is a fascinating packing puzzle invented by Theodore Edison, son of Thomas Edison. The original copy can be seen in Jerry Slocum's collection. 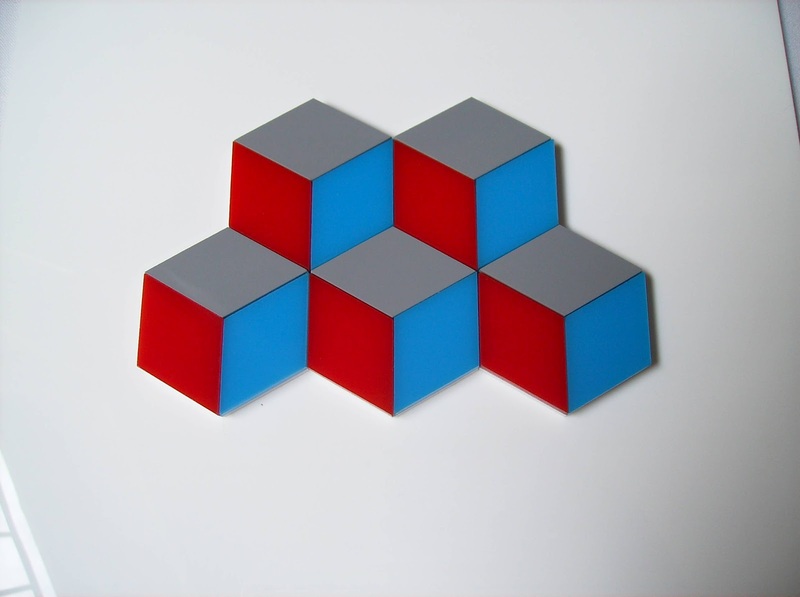 Suggested by its name, the puzzle is a selection of 12 rectangular blocks with different sizes that need to be placed inside the provided frame. There are two identical pairs of pieces, though. Sounds easy enough, but it's actually one of the hardest packing puzzles I've tried so far. The Calibron 12 is beautifully presented in this 18 x 23cm (7" x 9") stylish frame with an extra space for a piece so that it comes unsolved. 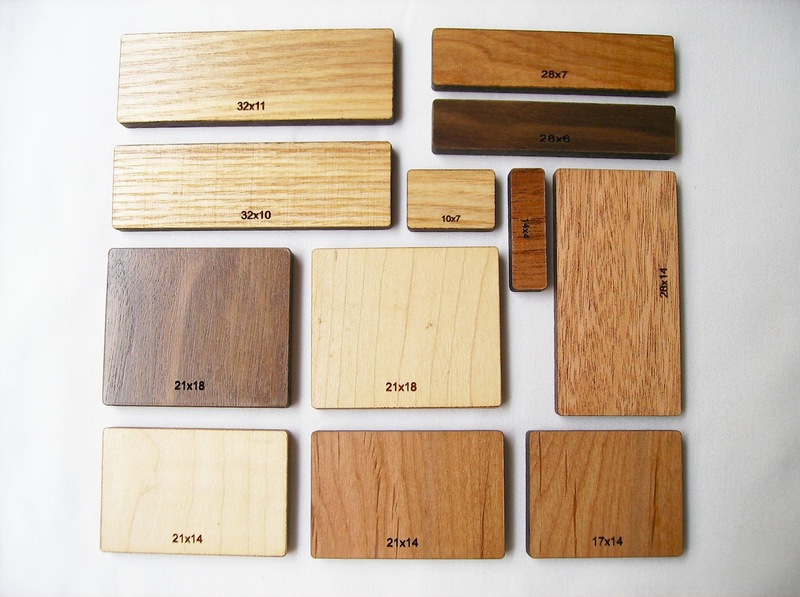 The pieces are a mixture of four different types of precision cut woods, resulting in a unique combination of colors from a wide selection used at Puzzle Crafthouse's shop. Each piece has its own relative size engraved, so it's very easy to identify them and see the size relationships between them. It can also prove quite helpful in a mathematical analysis. The packing area measures 16 x 16cm (6.3" x 6.3"), which corresponds exactly to a square measuring 56 x 56 units. It's also known that the total area of the pieces is 3136 units. 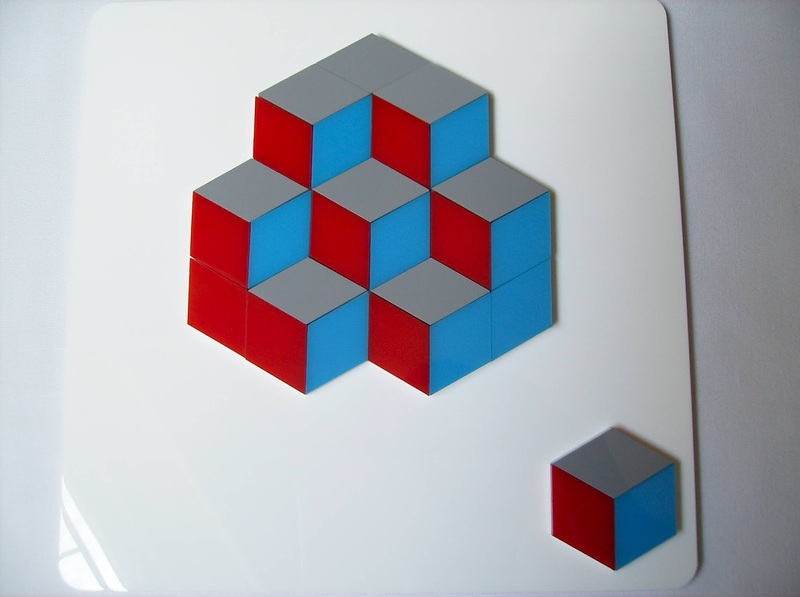 Knowing the relative size of each piece you have all that it's needed to solve this problem mathematically... If you can. I got this puzzle a few weeks ago and up until the time of writing, I'm yet to find a solution. 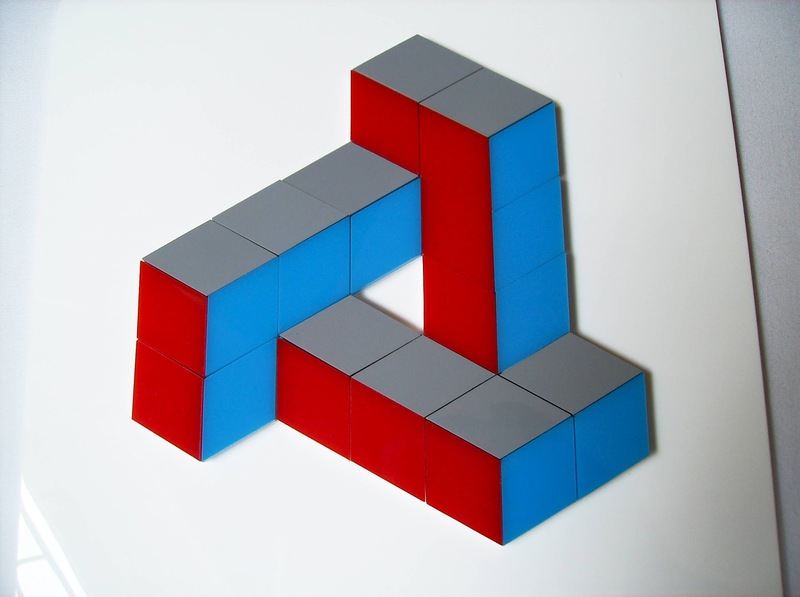 In fact, there is only one possible arrangement for the blocks that can fit the 56 x 56 frame. 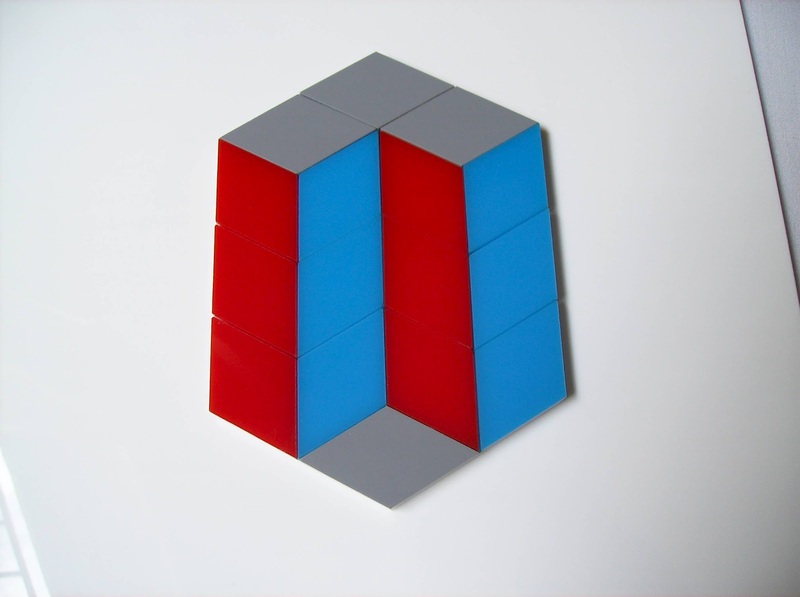 There are other theoretically possible rectangle areas, like 112 x 28, 64 x 49 and 32 x 98, however they can't be solved with these particular pieces. 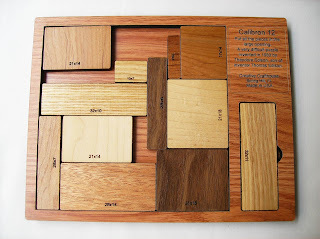 This may be a challenge for you to see which piece sizes would be needed in each rectangular area. 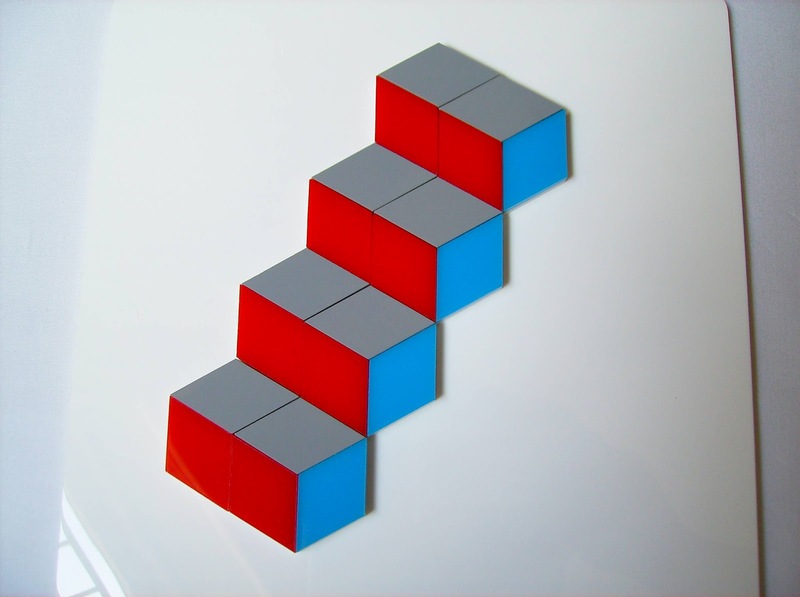 With fewer pieces you can make many smaller rectangles and attest that the blocks have all kinds of possible combinations and arrangements. Finding the correct one, well, that's a whole different mater. The puzzle is rated as a 5/5 level of difficulty, and I couldn't agree more. Although perfectly possible, I believe it's extremely difficult and unlikely to find the solution just by randomly packing the pieces. Unfortunately, I'm not a math wiz, so tackling the problem by mathematical analysis is out of the question. I read an interesting article explaining the methods for packing different rectangles in a frame, but for a layman it's not easy to wrap your brain around it. I will continue and try to find the solution the old fashion way. I reckon if I'm persistent, I'll eventually find it... Or not. Even though I'm yet to find the solution for the Calibron 12, I love it! It's a simple, but brilliant concept, and the way that it's presented makes you want to try it, even if you don't dominate the math field. If you're a math geek, this is the perfect puzzle for you to put your skills to the test. Availability: This particular version of the Calibron 12 can only be found at Puzzle Crafthouse and it's available for $27 USD. 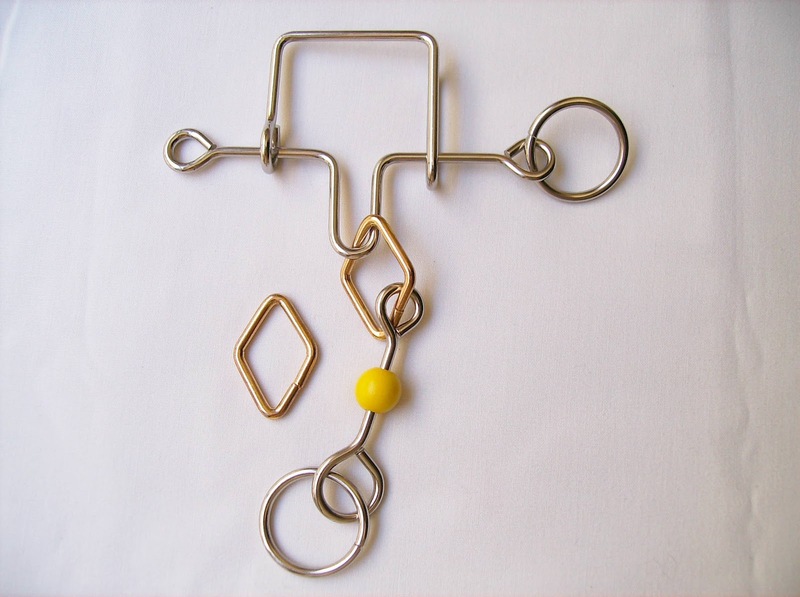 The culprit for my latest brain melt is the Pendulum by PuzzleMaster - They have a great selection of wire puzzles, all very affordable - In order to keep you from hypnotizing yourself, your task is to remove the diamond shape from the wire frame. There are two identical diamond shapes, so don't be confused: the one that's supposed to be freed can be moved up and down the pendulum. The other is locked by a small loop. 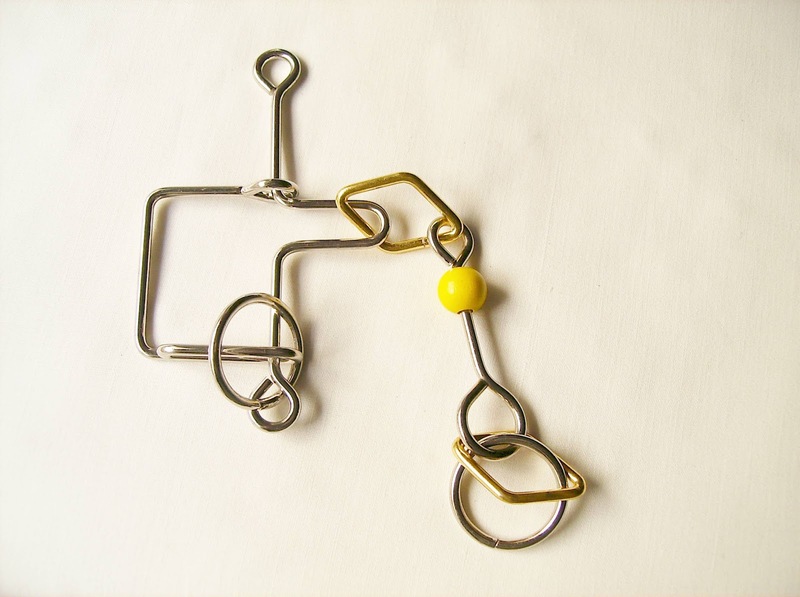 Having reviewed several of PuzzleMaster's wire puzzles (twelve, counting this one), there's always something you can expect, albeit the cheap price, and that's high quality. 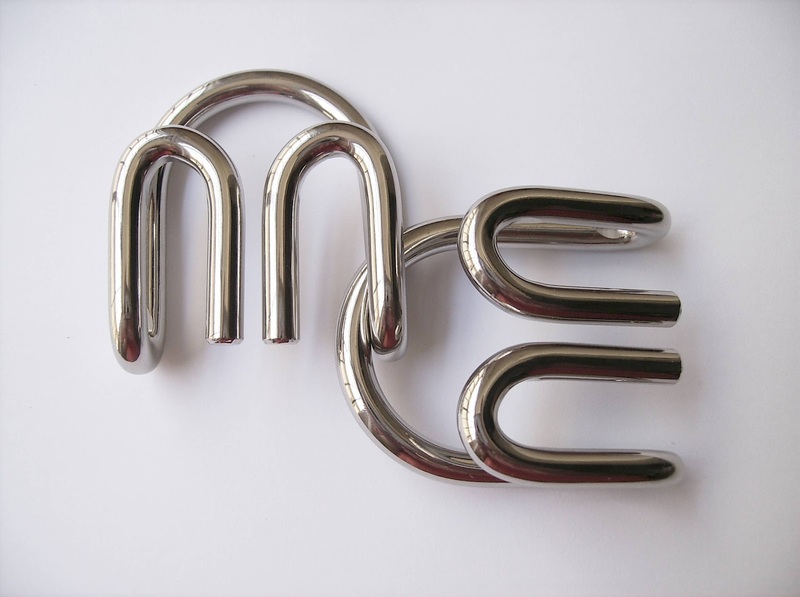 All puzzles are nickel plated to ensure a clean and polished look. Despite the complex appearance, the Pendulum is rated as a 9/10 level of difficulty, although I wouldn't be so surprised if it were a 10. It's definitely harder than the Blue Knight, another level 9 puzzle reviewed a few weeks ago, which took less than 20 minutes to solve. I know they're totally different puzzles, but still the level of complexity is greater in the Pendulum, in my opinion. Shortly after I picked up the Pendulum, I had a good idea of how the diamond should be removed, more specifically, where it should exit. The hardest part, however, was to figure out the exact process to get there, and that took a while. The diamond can't go over any of the two large rings that are blocking two possible exits, and since they won't go anywhere, the real exit must be through the other end of the U bar. It's easy to reach that conclusion, but now what? - Well, I figured the oval loop in the U bar was a major part in the solving process, but that didn't help much. So far, I knew where the diamond was supposed to exit and the oval loop was a very important characteristic, but connecting the two was still a foggy thought. To avoid further spoilers for future solvers of the puzzle, I'll leave the rest for you to figure out on your own. After spending weeks chasing what seemed like an impossible task, seeing the diamond finally out of the puzzle is the ultimate rewarding feeling. When comparing the steps I took with the solution guide, I could see that I made a few redundant ones. There are 17 steps in the solution, but I reckon I must have done more than 20. When describing the difficulty of the Pendulum, I would say that it's not overly complex, although when you take into account the higher than average number of steps required, it's easy to understand why it's a level 9. Getting the diamond back to its original position is much easier, though. Solution: Click here for a step-by-step guide. High quality - Affordable price - Tough challenge. When these three statements are used together to describe a single puzzle, it's hard for a puzzle lover to be indifferent to it. If you like wire puzzles, get it. You won't be disappointed. Availability: The Pendulum is available at PuzzleMaster for about $12 CAD. To see others in this category, click here. 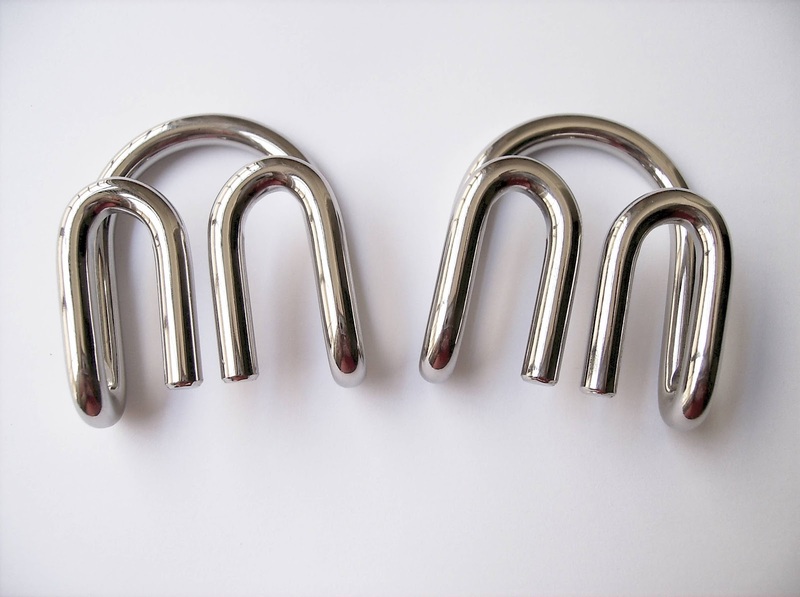 Kennet Walker might not be a household name in the puzzle community, but his Cast Spiral might be one of the most impressive designs in the Hanayama series. It was released in June 2003 and its key word is - You guessed it - "Spiral". The Spiral is one of those puzzles that really puts the phrase "Looks can be deceiving" into perspective. When you first look at it, doesn't even seem like a real challenge, because its design is made to look like a trivial jigsaw puzzle. When you pick it up, however, you're in for a surprise, as the five pieces comprising the puzzle are interlocked and appear to defy logic. The object, although seemingly impossible, is to separate all five pieces and then put them back together. The concept is not that hard to understand once you thoroughly examine the Spiral. 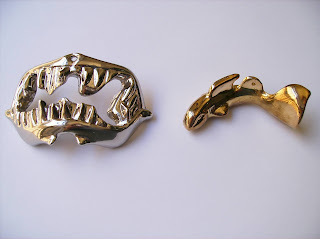 The pieces look identical, but in fact they're slightly different from each other with precision-cut tolerances. These differences can't be seen with the naked eye, though, but you can tell them apart with a simple method (read further below). Hanayama rates the Spiral as a 5/6 level of difficulty, and while I have faced harder level 5 puzzles - the mighty Cast Equa - I can see why it's not lower, even though it could as well been a 4/6. For a casual puzzler, however, it can be a seriously tough challenge. Solving the puzzle takes more dexterity than wits actually, especially the second part of the challenge, putting it together. Every time you hold the puzzle by one piece, you can see it spiraling down, sort of like a round staircase. Each piece will produce the same visual effect, which leads you to think that the pieces must be identical. As mentioned above, they're not identical, but without giving away too much about the solution, I can give you a couple more key words: "Twist" or "Bend". (Click to Enlarge) - The "Spiral"
Now, the other part of the challenge, returning the puzzle to its original state. If you thought that separating the pieces was tough, what to say about this one? - Prior to solve the puzzle, I read some comments about it and how some people jammed it beyond repair, leaving the pieces completely stuck. With this in mind and some concern that I could mess up the puzzle, I started the assembly process a little apprehensive. As it turns out, within 10 minutes, I had no more reasons to be preoccupied. Getting the puzzle back together was actually way less complex than I was expecting. To assemble the puzzle and avoid jamming it, you have to make sure that every two pieces you try to fit can go one and a half times past the entry point. Each piece that fails to perform this simple task is a clear indication that it's not the right fit and another one should be tried. Don't try to force them in place, because they slide pretty well once they fit. There may be one or two identical pairs of pieces, because there were a couple of times where more than one piece fit the same way. When you have all the right pieces in place, do the same movement you did when you took them apart, except backwards. Again, this process takes more dexterity than wits. Solution: For a clearer solution guide, check the Spiral's page at Sloyd. The Spiral is now one of my favorite puzzles from the Cast series. The concept is very original and the manufacturing is Hanayama at its best. It feels great in the palm of your hand and it's quite sturdy for a small puzzle. 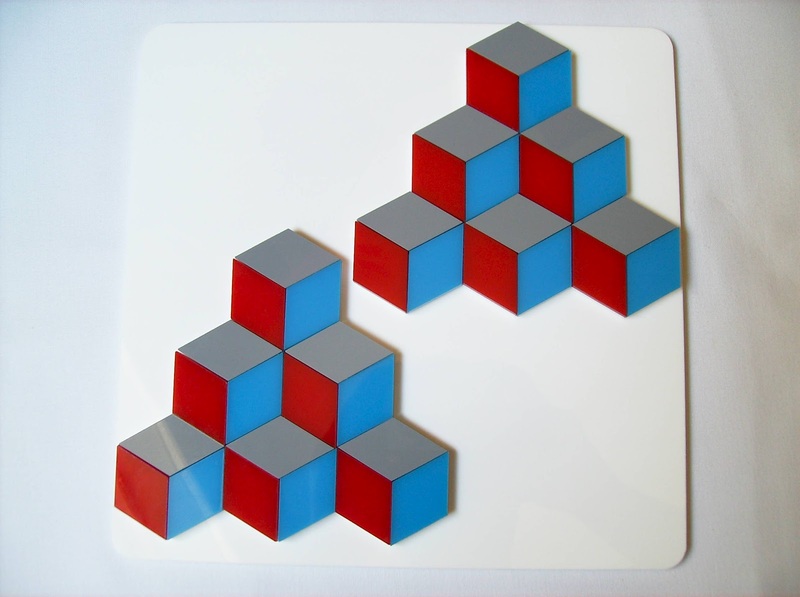 The amazing visual effect made by the pieces is great to impress some friends at a party or at work. Highly recommended. Availability: The Cast Spiral can be found at Sloyd.fi, as well as all the other Cast Puzzles from Hanayama.